Hall of the Mountain King: Still Spinning: Alice in Chains, "Facelift"
I wasn’t expecting much from this band, but by the time they had ripped through the opening song, “We Die Young,” my jaw was on the floor. The performance was nothing like the flashy Van Hagar show that followed. There was no running and jumping, no charismatic front man hogging attention, no party vibe. Instead, Layne Staley draped himself around his microphone stand and stood that way for most of the 45-minute set. But there was an undeniable dark intensity to the performance that was captivating and enthralling. I don’t remember much about the headlining set that night, but I remember Alice in Chains. The next day, I bought “Facelift,” and it quickly became a favorite record. 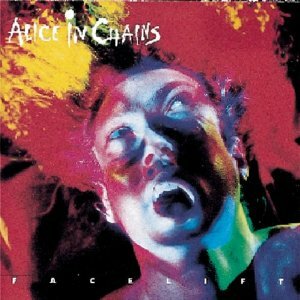 I was reminded of this record a few days ago when I caught a live set by the current lineup of Alice in Chains on TV. 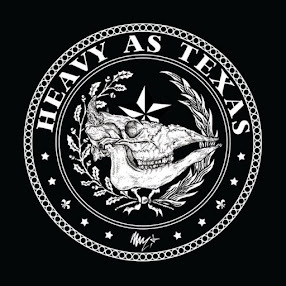 While I enjoyed the band’s comeback album, “Black Gives Way to Blue,” and I’m glad to hear the band again, it doesn’t even come close to the visceral power of the early days. While Nirvana gets most of the glory from the grunge era, this record and its follow-up “Dirt,” stomp all over anything that Cobain and Co. had to offer. The first four tracks from “Facelift” – “We Die Young,” “Man in the Box,” “Sea of Sorrow” and “Bleed the Freak” are a gut-punch combination of anger, disenfranchisement and rebellion. After that, it becomes more of a mixed bag, but there’s not really a bad song among the remaining eight, either. There’s the dark, bleak melancholy of “Love, Hate, Love,” the throbbing grind of “It Ain’t Like That,” and even a funky upbeat number in “I Know Something (Bout You)” that seems both out of place and perfectly placed at the end of a record that’s so heavy in the emotional sense. As we watched the new version of Alice in Chains and saw new singer William DuVall do serviceable, but ultimately hollow, versions of Staley tunes, my wife remarked what a shame it was that he’d wasted all that talent on drugs. After spending a few days with this record again, I have to agree. A few short days after we watched that concert, I learned that bassist Mike Starr had also lost his battle with drug addiction. That means half of the band that brought life to “Facelift” is now gone, and to quote my wife, it’s a damned shame. At least we still have the music, though, and it will endure.